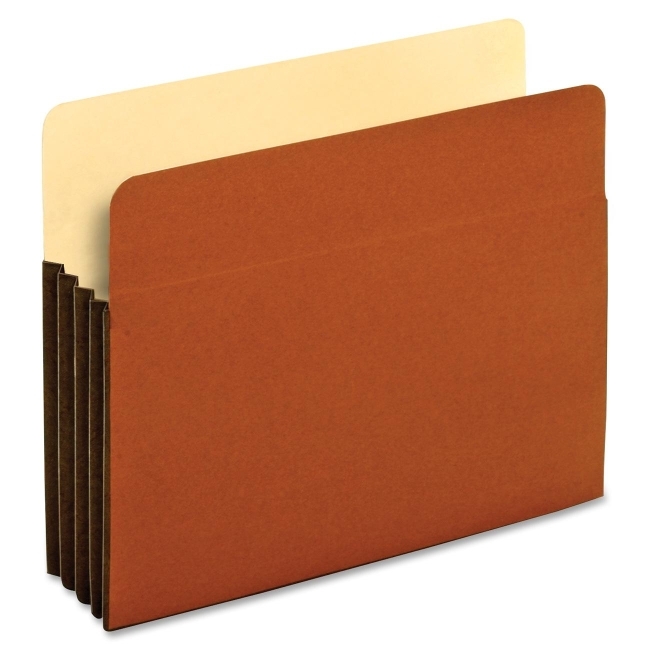 Sheet Size: 9.50" x 11.75"
Great for managing bulky records, these sturdy file pockets feature an accordion design. Durable Tyvek reinforcement at the top of the gussets makes the sides of these pockets virtually tearproof. Other features include 12-1/2 point RedRope back with 11 point manila liner, rounded top corners, 6-1/2" high Tyvek lined gussets and double thick 9 point RedRope front. RedRope material contains 30 percent post-consumer material.